Clamps and Gaskets is a weekly wrap-up of stories that I have not posted at Yours For Good Fermentables.com, but that, nevertheless, I find interesting or germane. Most are concerned with beer, or wine, or whisk(e)y. Some are not. But all are brief. And many are re-posts from my Twitter account: twitter.com/cizauskas. Beer math: a proposed Fed excise beer tax increase of $2/case would increase consumer case average cost by $3.38. http://tinyurl.com/pejqaq. New from Clipper City Brewing in Baltimore, Maryland: Heavy Seas Big DIPA (double India Pale Ale) 22-ounce bottles. http://bit.ly/r7D8q. 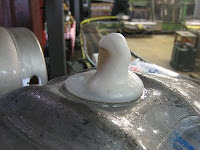 Add @legendbrewingco in Richmond, Virginia to the list of DC/MD/VA brewing companies on Twitter. The Washington Post has endorsed R. Creigh Deeds for Virginia Governor in the 9 June Democratic Primary. http://bit.ly/ZJGBX. 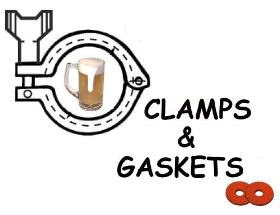 The Clamps and Gaskets graphic was created by NotionsCapital. NRG expands in Alexandria, Va.